Change is coming to Mission Builders International, bringing with it the excitement and challenges that accompany beginnings, endings, firsts, and lasts. As MBI grows and embraces change—welcoming new people and a fresh round of related ministries—we celebrate that change even as we continue doing what we’ve always done: recruiting and sending volunteers to help YWAM locations globally. 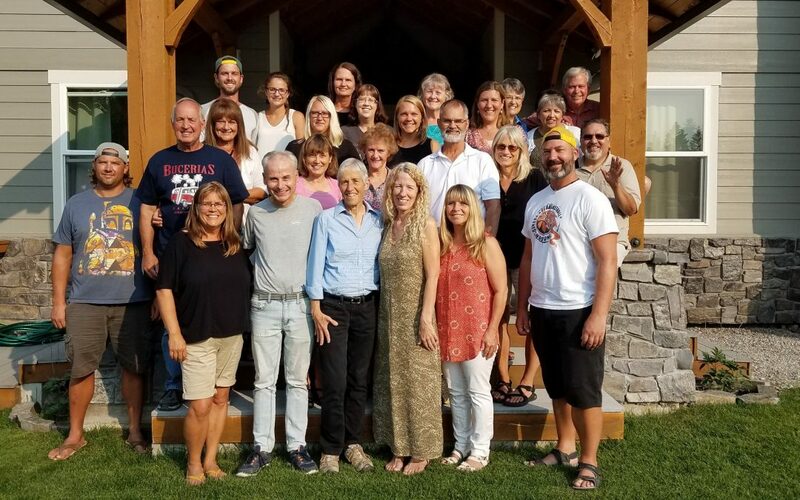 During this season of transition, we’ve come to a particular ending: MBI will no longer be partnering with YWAM Lakeside in hosting the Crossroads Discipleship Training School (but take heart—the CDTS will resume at YWAM Lakeside in 2020). To close this chapter, we’d like to share a handful stories from the graduates of the 2018 school. We love what God has done in and through them, and we know you will too! “God is asking me to come on staff with the YWAM Puerto Vallarta team. I believe the CDTS has prepared me, because I am the most confident in who I am in Christ that I have been in my entire life. I know who He is, I know who I am in Him, and I want to make Him known. I’ve faced difficult things, I’ve worked with so many different people, I’ve moved into places where I knew no one, and I am ready and excited to take the next steps God is calling me to take.” ~ Jay J. “My most significant experience was finding out that the voice I would hear or the prompting [I felt] really was the Holy Spirit speaking to me. That helped me greatly.” ~ Lynn C.
“The teaching on grace has changed my way of thinking, because I had lived so many years trying to please God in order to earn salvation.” ~ Mandi W.
“To my delight, I never felt unwelcomed by anyone because of my age. Both in the training and outreach stage, I felt very much welcomed and embraced, and that age was not at all significant to the ministry.” ~ Mike D.
“The first church we went to [in Puerto Vallarta] I asked the Lord, ‘What would you have me do?’ He said, ‘Sit down.’ I did, and He brought a five-year-old to me to sit on my lap. She was looking for a safe place. Thank you Lord! It was me!” ~ Laura W.
“At one of my low points in Mexico, when I was feeling inadequate about speaking with people, I was praying in the Catholic Church of the Square in Bucerias. I heard very distinctly: ‘I called you to be faithful, not successful.’ I left that place feeling God had met me in my time of need and that what I was doing was acceptable to Him.” ~ Kate D.
“I believe God is asking me to go further into missions with YWAM and has prepared me for what is next for me. I am putting my whole life in God’s hands; He has never failed me yet. My favorite verse is Isaiah 6:8: ‘And I heard the voice of the Lord, saying, whom shall I send, and who will go for us? Here am I; send me.’ This is what I pray: Here are my feet Lord; I will go where you send me.” ~ Jules M.
This final CDTS produced fruit that will last, maturing into richer relationships with the Father and good works for his kingdom. What more could we ask for? Thank you Lord for new beginnings and happy endings!